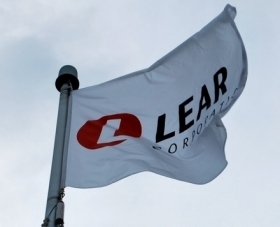 Lear Corp.’s plant in Whitby, Ont., once slated for closure, will assemble seats for General Motors’ Oshawa assembly plant under a newly ratified labour agreement. Lear workers represented by Unifor ratified a two-year contract with the supplier on Sunday, the union said in a statement Tuesday. Lear said in February that it would close the Whitby plant. "This agreement includes new work being brought into a plant that faced almost certain closure just a few short weeks ago," Unifor Local 222 Plant Chairperson Scott Bateman said in a statement. "It was reached with the concentrated efforts of a strongly united bargaining committee, and immense support from the national union as well as our local president." Beginning in January 2018, the Whitby plant will assemble seats for trucks that will be built at the GM Oshawa plant. Under a contract with GM that was ratified last year, the Oshawa plant will reportedly do final assembly of pickups shipped from the automaker’s plant in Fort Wayne, Ind., though GM and Unifor have yet to confirm if that truck will be the Chevrolet Silverado. The contract ensures workers at the Whitby plant would receive 3.5 weeks of pay per year for each year of service up to 25 years if Lear decided to close the plant, Unifor said. It also includes a $50,000 retirement incentive for eligible workers and a two-year grow-in to an “unreduced” pension. A request for comment from Lear was not immediately returned.